Once we had decided Paphos was the place for us we short listed 5 agents and viewed over 20 properties in 3 days. Christos was by far the best , he asked questions about what we were looking for and how we would use it, but more importantly he listened intently and provided us with a solution that perfectly matched our families needs. Which is no easy feat in a market that has such a wide choice. We then continued our pleasurable experience with Diane who helped us put an offer together to the seller which was accepted. She did not stop there and continued to provide support based on her local knowledge in areas I believe are over and above what we should expect. She recommended lawyers, decorators, cleaners, curtain and blind makers based on previous excellent client feedback and all proved to be first class. The most important part for me was she was there at every stage of the process to hold our hand and make sure every aspect of the transaction went through smoothly. I can only provide my highest recommendation to this excellent company for their diligence to their customers both buyers and sellers and their honest clear straight forward approach. Just a line to say THANK YOU ALL very much for your combined help and understanding before, during & after the purchase of our apartment. From the very beginning when Christos showed me round it, answering all my questions clearly and honestly and helping me with welcome advice. You all dealt with me perfectly, with the same high standard of professional care which was greatly appreciated. All very comforting after my previous disaster in trying to purchase a property in Cyprus, only to find out my ex solicitor was representing both parties, A serious unethical conflict of interests. Cyprus101, you reinstated my trust with your top draw customer care while purchasing my apartment through your company and I can’t thank you all enough for that. I have no problem in recommending Cyprus101 to everyone. The pure professionalism team Cyprus101 have in abundance is a leading advocate others in Cyprus should look to follow. Please feel free to shout my comments from the roof tops so everyone can be assured of an excellent honest service If any purchaser is not sure which Cyprus Paphos estate agent to use, they can be reassured Cyprus101 will not let you down. We would like to take this opportunity to thank you and Christos for the professional and friendly service and advice you gave us during our house hunting in Cyprus. Super helpful and lovely to deal with. Ensured my property purchase proceeded efficiently. I would like to thank you both for your help and professionalism in finding me my perfect apartment and working together to follow through all the procedures to the final ownership. I am sure we will continue to have an ongoing relationship and would not hesitate to recommend you to friends & family. 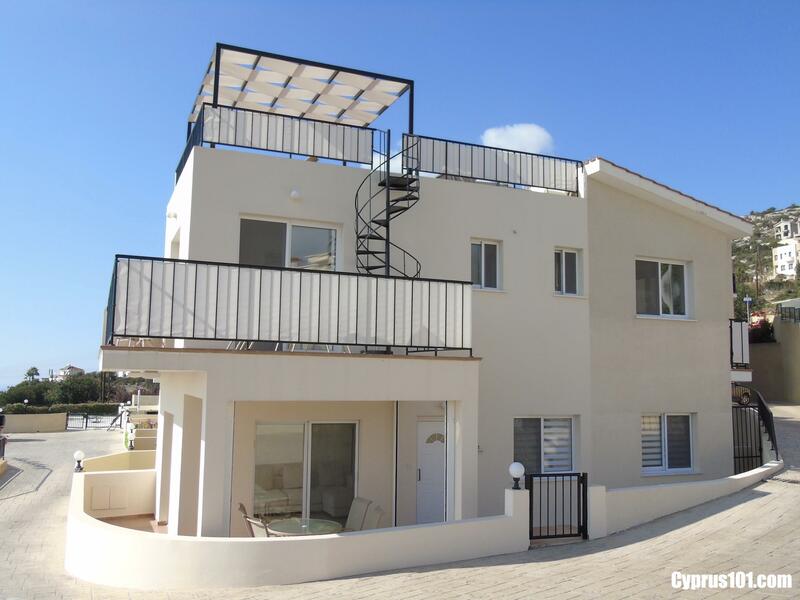 We’d looked at numerous properties on several property websites whilst in the UK, but decided to come out to Cyprus in November last year just “to look” to see what was available. We met with Christos on the Monday for three viewings, we immediately felt at ease, he listened to our requirements and was very transparent and informative (unlike the other agent we viewed with who just wanted as much money as possible off us!) Christos steered us away from the original area we wanted, taking us to a more traditional village to a house that wasn’t even listed yet. We arranged a second viewing for Wednesday, put an offer in and it was accepted! We used a lawyer who was recommended by Christos and again the whole process was clearly explained and ran smoothly. Our emails to Diane were answered promptly and nothing was too much trouble. 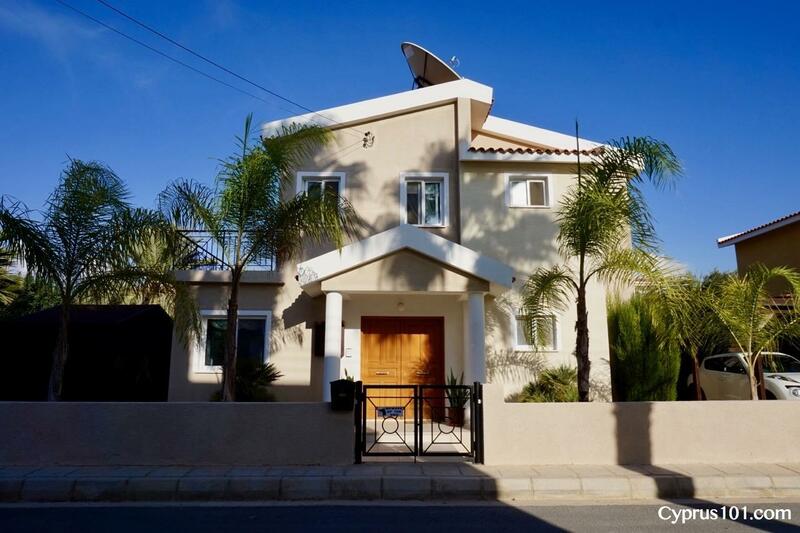 We moved out to Cyprus in March, we love our new home and life in Tremithousa, thank you to everyone at Cyprus101 who made our dream come true! We have just collected our keys for our 3 bedroom Villa in Agios Giorgios. 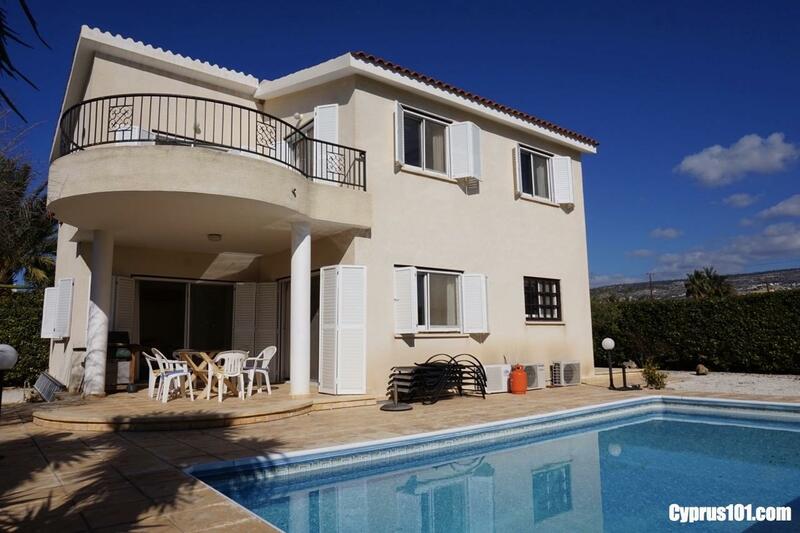 We have been looking at properties in and around the Paphos area for a number of years and shortly before our last visit we selected some properties to view from three different estate agents. The thing that immediately stood out with Cyprus101 was when Diane rang to introduce herself, get to know our real requirements and preferences and to reflect on the property we had selected to view. As a result of the conversation we cancelled the viewing as Diane identified features that were not apparent on the listing but which would have immediately excluded it from our list. As this was the only property we had selected with this agent as we finished the call this meant we had no viewings with Diane. This was the first sign of the honesty and integrity I experienced throughout our discussions. Based on our conversation we took another look at the available properties on the website and selected a single property to view together with 4 other properties from other agents. The approach of the other agents could not have been more different, one in particular very sales led and working to try and get viewings which clearly were not suitable, a story many of you will recognise from the UK. The other agent was decent enough they showed us their property but the personal touch, context and local knowledge jut simply was not there. We we shown the property by Christos who could not have been more pleasant, informative and helpful, providing information on the property, the development and the previous owner and their real reasons for selling, all of which matched exactly with what we were seeing. A second viewing was arranged at short notice with again Christos proving the perfect host letting us really see the property in detail and helping with any questions we had about the area, the property and the Cypriot way of doing things. The pricing was consistent with our research and I found Christos to be completely open and transparent about pricing and the state of the market in the area. We returned to the UK and having researched our funding options placed an offer via Diane which after some negotiation on pricing and timing, the deal was concluded successfully. communication throughout the process was excellent throughout with occasionally Diane intervening between the lawyers to ensure things ran smoothly. If we ever had a question, Diane was only too happy to help and we are now the very happy owners of our dream home in Cyprus. The first time we spoke on the phone I felt I was dealing with someone who I could trust and work with, I am delighted to see my instincts were proved to be correct. 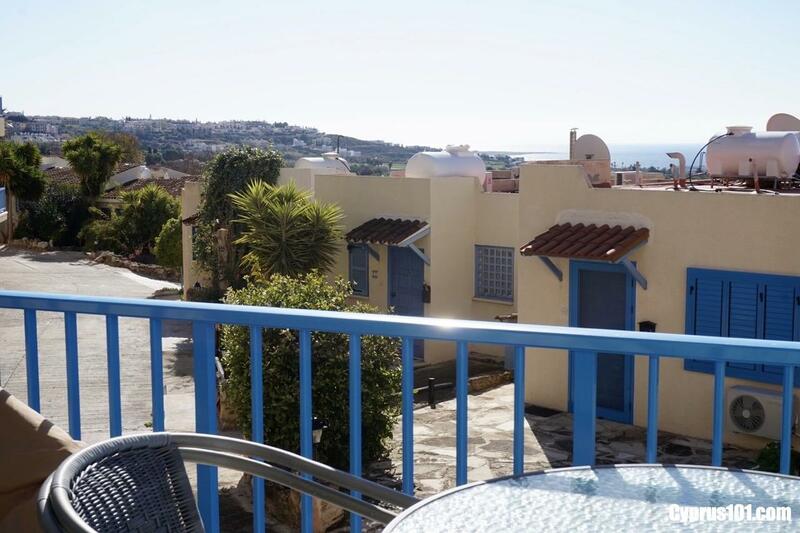 We have recently completed on a two bedroom townhouse in Peyia and are over the moon with the purchase. Diane from 101 supported me with the purchase all of the way and helped me to achieve my dream of owning a property in Cyprus. Diane is a ‘real’ caring, compassionate person who wasn’t at all what I expected from an estate agent. She listened to my story of why I so wanted a house in the same complex as my brother. My mother would be so happy to know I managed to buy a house near him. Diane always responded to my emails and texts promptly and answered any questions I had whenever I contacted her. Thank you 101. We moved last month to a bungalow in Emba after selling our villa in Kamares village, with immense help from Diane and Christos. We already knew them and Cyprus 101 when we thought we had sold our property in July last year. At that time they found us a bungalow in Kissonerga which we were ready to buy, but our sale fell through. During this very trying time, they were very supportive to us. agents didn't come anywhere near the care, precision and time that Diane took to present our villa). further...that property was the one for us. Both Diane and Christos knew exactly what would suit us and make us happy. They are amazing people..nothing is too much trouble and they are always ready to help in any way possible. It was far from easy coordinating our sale and our purchase, but a lot of the anxiety and stress was taken out of the problems that arose, by Diane's calm, efficient and friendly help. We couldn't be more grateful to both of them, and can highly recommend them to anyone contemplating a move. You will not get better service anywhere; highly organised, very professional, yet very personal, and for me, who was paranoid about moving anyway, Diane's calm and reassuring approach to things, took a lot of the fear out of this whole exercise. And now we have found our forever home in Emba thanks to Cyprus101. So many thanks to Diane and the team for very professional help with buying our beautiful house! Everything was perfect, very friendly and supportive. We would love to collaborate with them again and recommend Cyprus101 to all our friends. Fantastic service when we recently purchased our apartment. Diane was absolutely brilliant nothing was too much trouble to secure our purchase she went above and beyond even when I emailed her in a panic on a Saturday evening a day after we moved in she was on the phone sorting it out for me. Thank you Cyprus101 would not hesitate to recommend you. I wanted to leave a testimonial and show appreciation for Cyprus101 Estate Agents. I recently sold my town house in Tala and purchased a beautiful bungalow in Kamares under the careful guidance of Cyprus 101 Estate Agents. Diane Murphy provided a professional service that made the process really straightforward from beginning to the end. From each and every step of my sale, liaising with my solicitor and the vendor to ensure a quick sale, which took only eight weeks from viewing to completion, but most of it has been down to Diane’s drive and ability to say the right thing to the right person at the right time. Diane’s, professionalism and knowledge lead me through the whole process; she is thoughtful, polite, straight talking and honest. Her efficiency and enthusiasm kept things moving all the time and even gave me sound advice on the property I was purchasing. Diane completely outstripped her competitors with advice and support. I would highly recommend her! We have bought a total of four properties with Diane and Christos at Cyprus101 and every time they have been a pleasure to deal with. We have found them to be honest, reliable, do what they say they are going to do and turn up on time for appointments! They have always found what we are looking for even throwing in curve balls that we have preceded purchasing because of their understanding of our needs. We will continue to use their services and are confident they will continue to come up with the goods! Thank you Diane and Christos for always having our best interests at heart. We have just purchased a villa via Cyprus101 and received excellent customer service from day one. Diane made the whole process as easy as possible and bent over backwards to be helpful. We have now moved in and Diane is still there answering any questions that we have and is happy to do so. 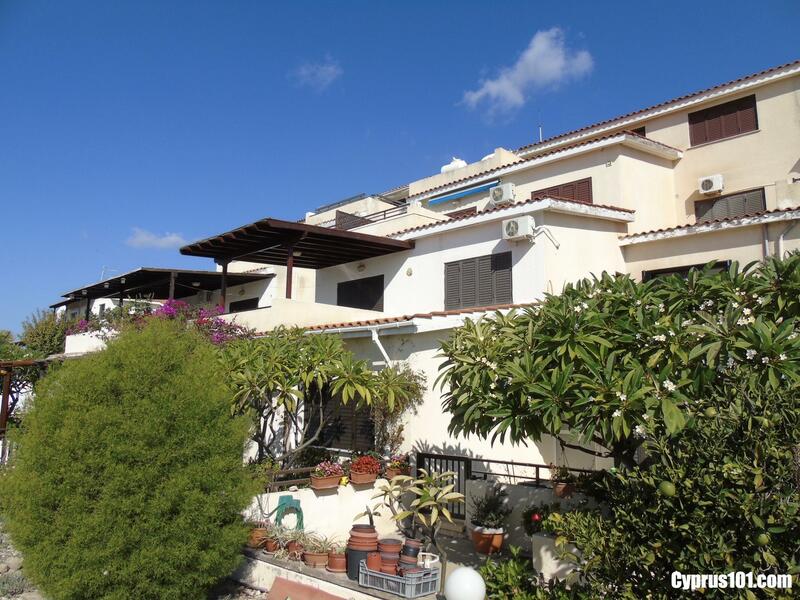 We would highly recommend Cyprus101 to anyone that is looking for a property in Cyprus, Diane and her husband Chris are excellent and a pleasure to deal with. Earlier this year we visited Cyprus in search of a holiday home. We chose a variety of properties to view from Cyprus 101 website. 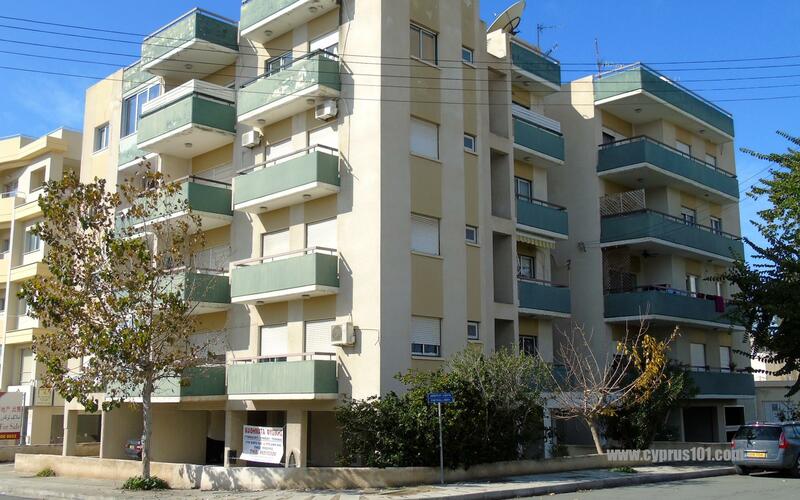 Christos took us to see all and after a second viewing on one apartment we put an offer in which was accepted. 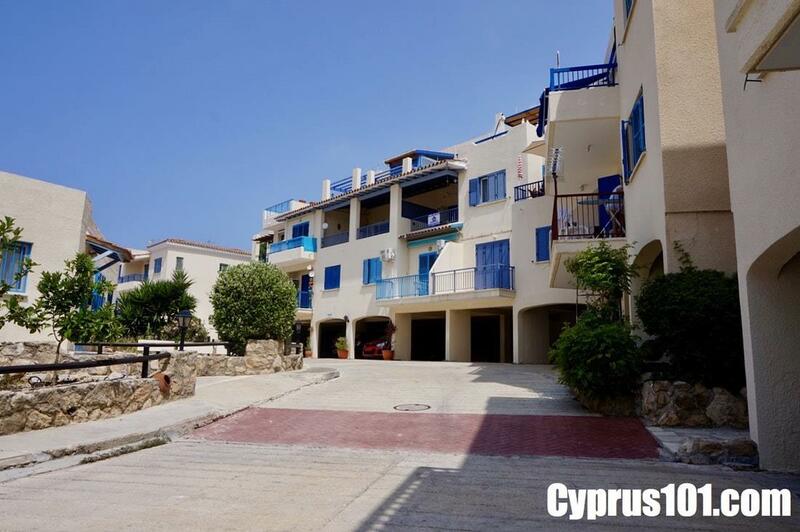 We would like to say a very big thank you to you all at Cyprus101 for your help in showing us around the area, viewing properties, through to the purchase & completion of our very first place in the sun in Paphos. Everyone has been brilliant, especially Diane. She has continued to help us, long after the sale has been completed with advice and recommendations, so a special thank you her. A very professional & friendly company that we would certainly recommend. 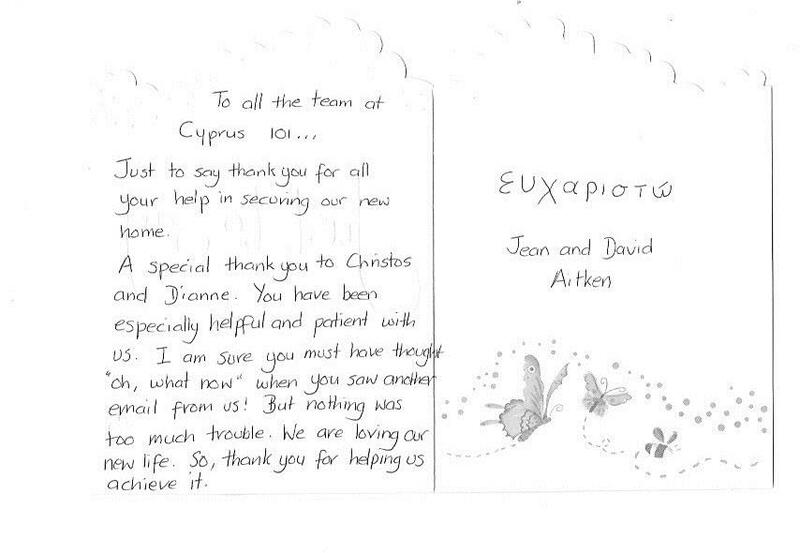 We are extremely pleased with Diane and Christos at Cyprus101. They went out of their way to find our perfect home, everything went smoothly thanks to them. Would definitely recommend this company if you are looking for a new home and especially recommend Diane and Christos. Thanks Diane kens not flying out till tomorrow he's picking up the key from lawyers office Thursday. Thanks for everything. It's very exciting and would definitely recommend you and use you in the future. Thanks again. We have bought a house in Peyia with the help of Diane. Just have to say what a pleasurable experience it was. Diane and her team are amazing. Nothing is too much trouble. We are still in touch with Diane. Diane, a special thank you to you for always being available to give me advice whenever needed & meeting me with my keys on my recent visit. You make a great team, very professional & I couldn't have asked for anything more. Thank you both so much, hopefully I will see you in Cyprus sometime & be able to thank you both personally. Cyprus 101 have to be the best team for selling houses on the island! Thank you so much for all your help and a big thank you to the amazing Christos! You were so patient and empathetic and we got there in the end! Diane you have such a calm lovely manner and we can't believe how lucky we were to have your professional support! We moved in last Saturday 13 February and still waiting for our UK container but have done so much! You really epitomise the meaning of team ( Together Everyone Achieves More) and are a real credit to estate agency! We now start our next journey living in Cyprus and feel we have good friends in you both already! We will pop in soon to thank you personally and no doubt pick your brains for local knowledge! Can't thank you enough! We bought our apartment thru Cyprus101 recently. Cannot recommend highly enough. Very honest and ethical which is unusual in this field. Diane and Cleo were very helpful all the way to conclusion of sale and after. If we sell a property in the future would not hesitate in using them again. Thank you Cleo and Diane for all your help with our move back to Paphos and we are thrilled to bits with our apartment. via email what a great help Diane was. We would recommend their services to any home buyer. When we decided to move to Cyprus (and believe me I'd done a great deal of online research first looking at areas and houses) we originally came over and were brow beaten by one company which almost put us off. Then we got involved with Cyprus101 and Diane who could not do enough for us. I came over alone so was totally dependant on her personal knowledge of the Paphos area. I know for a fact that I must have been the pickiest and most hard to please client they have ever had the misfortune to deal with, but Diane persevered and after countless viewings followed by a return visit, this time with my partner, she and another agent found us our ideal home! I wanted a 3 bedroom sea view bungalow with 'twinkly lights' at night and most importantly a lounge area big enough to take our very large bespoke credenza all within our budget, no problem! Many many thanks for all your personal time and effort to get us here! 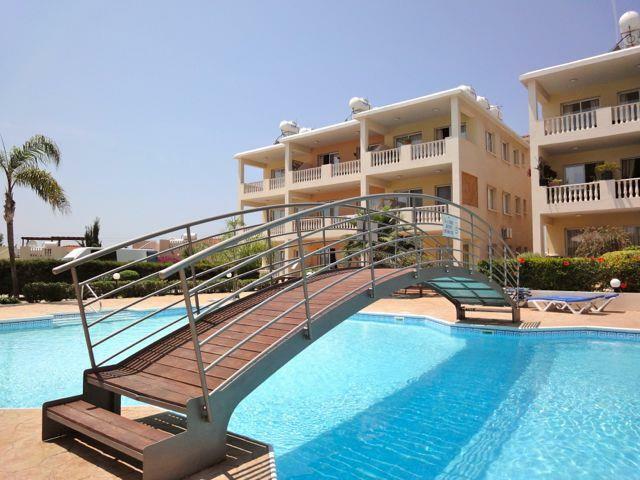 My husband, John and I had been looking on the internet for properties in Cyprus for a few years and had a good idea of exactly what we wanted. 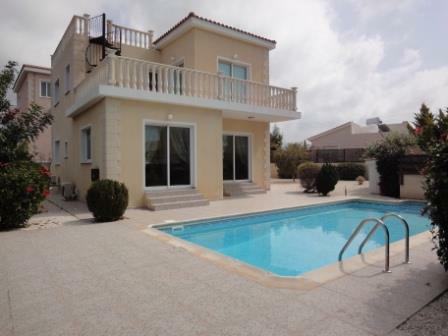 We spent 2 weeks in May 2014 looking at different villages and phoned Marios at Cyprus 101 to view several properties. From the beginning Marios was friendly and he listened to what we wanted. He showed us a property which we fell in love with and so we returned to Britain, sold our property and moved to Cyprus in November 2014. Unfortunately, in the meantime the property we fell in love with had been sold. We visited Marios in his office and was introduced to Christos who showed us 2 or 3 villas. When we returned to the office the next day both Marios and Christos had found the perfect property for us and were both keen to show us. To say the villa had the wow factor is an understatement. It was all we had asked for and more. Christos phoned the sellers that evening and then phoned us to say our offer had been accepted. We have been on cloud 9 ever since and have yet to come down. The whole process from start to finish could not have been made any easier. Both Marios and Christos helped us negotiate the purchase of furniture, secure an excellent lawyer and kept us in touch throughout the whole procedure. We are now living the dream secured for us by Cyprus 101 for which we will always be grateful. We visit the Cyprus 101 office every few months and always receive a very warm welcome, a coffee and lots of answers to our questions. Cyprus, the Cypriot people, the weather and the life style means we really do live in paradise, the only regret is that we should have made the move sooner. Thank you Marios and Christos, we will always be in your debt. Having just spent our first family holiday at the property we purchased through Cyprus 101 we wanted to drop you a note to say thank you for all your help and support in buying our dream Cyprus property. The process was extremely easy and enjoyable we were looked after extremely well by Diane Murphy who took the time to help us understand what we were looking for as we had not really thought things through properly. Diane was excellent in helping us with this, also she was able to show us a number of properties in which we were very interested and that suited our requirements and most importantly our budget. Diane helped is immensely and had great patience with us the result was a fabulous purchase which we are very very pleased with. Diane has continued to give us advice and support after the sale when we have requested additional information that is not even related !! We can only highly recommend this company to any who are looking to make such a life choice. We had met with others who frankly did not have our interests at heart and who showed us very disappointing properties we had spent three days with others but just 24 hours with Cyprus 101 and we found what we are looking for. Thank you Diane very much for all your help and support. 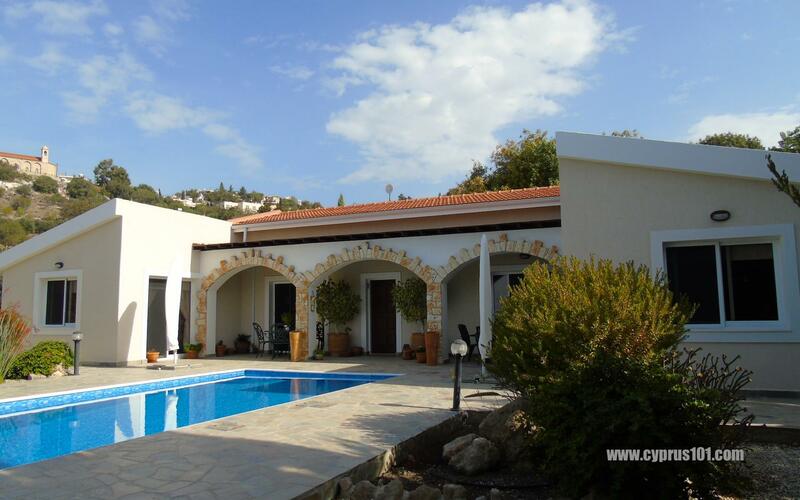 In October of this year (2014), we decided we would like to buy a holiday home in Cyprus. After narrowing the area down, I wrote to agents. Immediately, I got a call from Diane, whose lovely manner endeared me and filled me with confidence at once. She asked me several pertinent questions to ascertain what I really wanted. Diane then sent what she believed I would be interested in and she was spot on! Excitedly, we arrived for a four day visit. 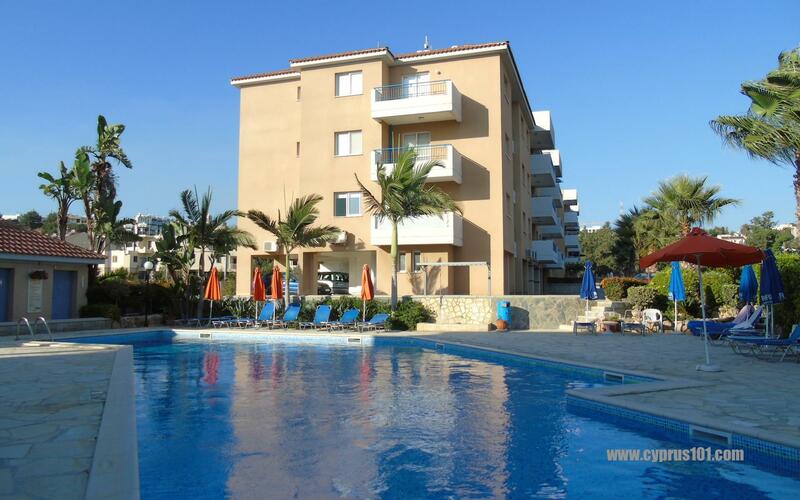 I had arranged to meet other agents as well as Cyprus 101 and view several properties. After the first day with another agent, I felt very despondent. The properties didn't look half as nice in reality and the lady accompanying us couldn't answer my questions. That all changed when Cyprus 101 sent along Christos to view the shortlist that myself and Diane had decided upon. Before taking us anywhere, he took us to a high vantage point where we got a great overview of Paphos and pointed out the districts and their pros and cons. Again, helping us focus on what was important to us. I believe we saw six properties that day. At no time did I feel there was a hard sell from Christos, he provided wise counsel. None of the flats disappointed; their photos and descriptions were not exaggerated, leading to the sense of disappointment I had experienced previously. No, they depicted exactly what I saw. So it was fabulous that my favorite listing turned out in reality to be a little gem and we knew immediately "this was the one!" Knowing we had a tight window of opportunity, Christos guided us through the process, helped us set up a bank account and drove us to the lawyer we had chosen. The purchase went through painlessly and in early Feb, we got our place in the sun. I strongly recommend Cyprus 101 if you are considering doing the same. Diane and Christos' sense of personal customer service made buying in Cyprus a very, very pleasurable experience. What a team! Having spent couple of holidays in the apartment that Diane found for us we would like to thank her again for her excellent job! Diane understood very well from the very beginning what we were looking for and when such property came up on the market she did not hesitate to make it very clear to us. We immediately flew in to find out that it was indeed the right choice. We must say that this was not an easy deal at all starting from a lawyer which we found ourselves and had to change... followed by the 2013 crisis which almost wrecked the sale, not to mention all minor ups and downs which are very common. Through all these hurdles she navigated very well professionally and personally. We never felt any pressure from her during all the bargaining period but she was always very firm in what she thought (and actually was) fair on the seller side. She keeps network of good contacts in property management, construction, etc and always ready to link you up if you need advice or service. To sum up, Diane is very professional, reliable and trustworthy. We would recommend her as an agent for anyone looking for property in Paphos area. Everything that Diane represents professionally is deeply linked to her great personality. You would really enjoy dealing with her and feel grateful for her work as we do now, if you are lucky to find your dream house through her. We truly appreciate all the help and guidance you have provided to us in our quest to find the right home for our permanent move to Cyprus. Your patience, courtesy and willingness to readily adapt to our changing ideas of location, property type, budget and much more, was incredible. We are looking forward to seeing you again soon as completion of the purchase now looms on 22nd December. 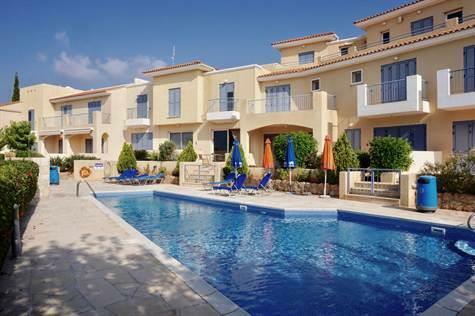 We recently purchased a holiday home in Peyia and Cyprus101 (Bettabit Homes Ltd.) were the agent acting on behalf of the sellers. Diane was the agents representative, who was great in helping us understand better the types of property our budget would allow us to buy, some of the things we needed to consider and advice on how we could progress improvements to the property we ultimately bought. Having returned to the UK and had our offer accepted, she was also very helpful throughout the purchase process acting as an intermediary on questions we had and helping to check things at the property. Whilst we were not technically the client, the help she provided was invaluable. 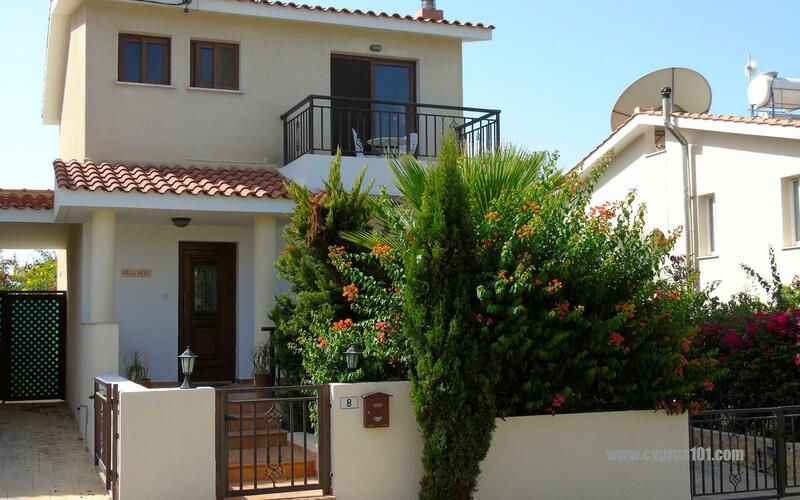 We've been looking for our ideal holiday home in Paphos, Cyprus now for around four years. 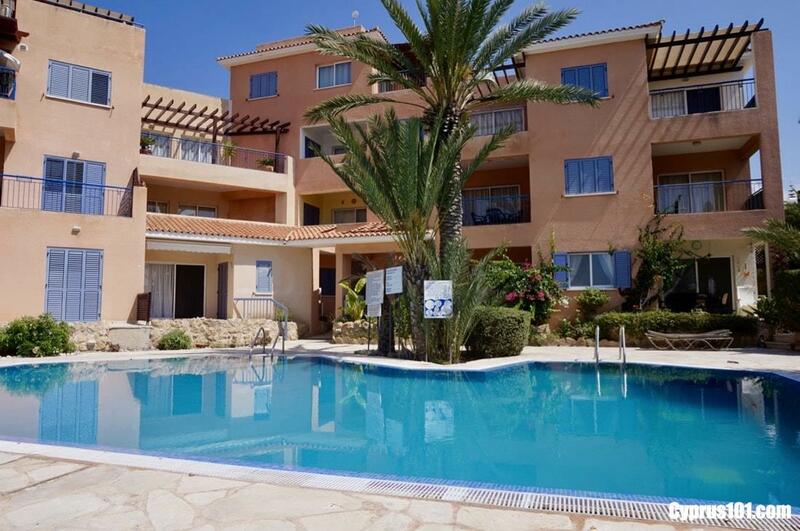 We came across Cyprus 101 after searching online for more properties to view on our following visit. We were picked up and shown several properties by Christos, who was very helpful and after dealing with Diane via email up to, and while on the island. The two of them made our search effortless and stress free. 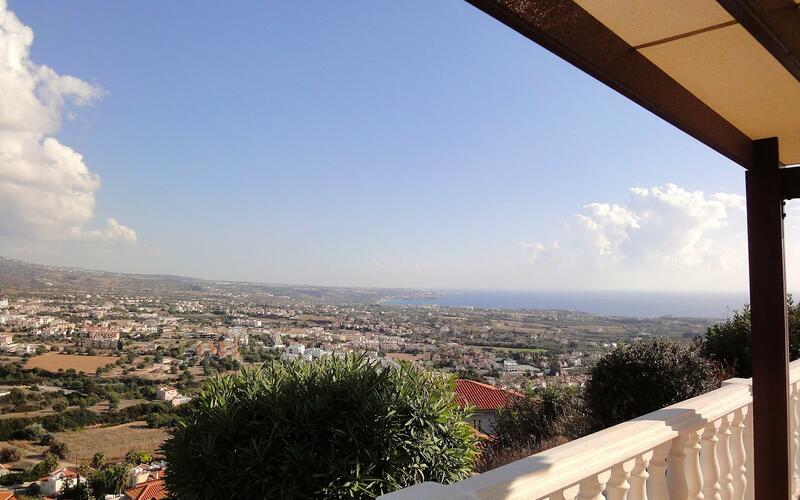 We have now found our perfect holiday home with their help & after completing and moving in, can now sit back, relax and enjoy our dream property in Peyia, Paphos. We had help with all our needs including the legal side taken care of, which also all went to plan with very little stress. Thanks to Cyprus 101, Diane & Christos for making it happen!! We have recently purchased our lovely detached home in Kamares which was marketed by Diane Murphy. Diane does everything she says on the tin in a timely, friendly and professional manner. The property we purchased had been on the market for several years and had been marketed by several agents. Our new neighbour said he wished he had a euro for everyone who had been to see it in the past. Diane recently took on the marketing of the property on a non exclusive basis and advised her clients to drop to a realistic price to reflect the downturn in the Cyprus market in 2013. 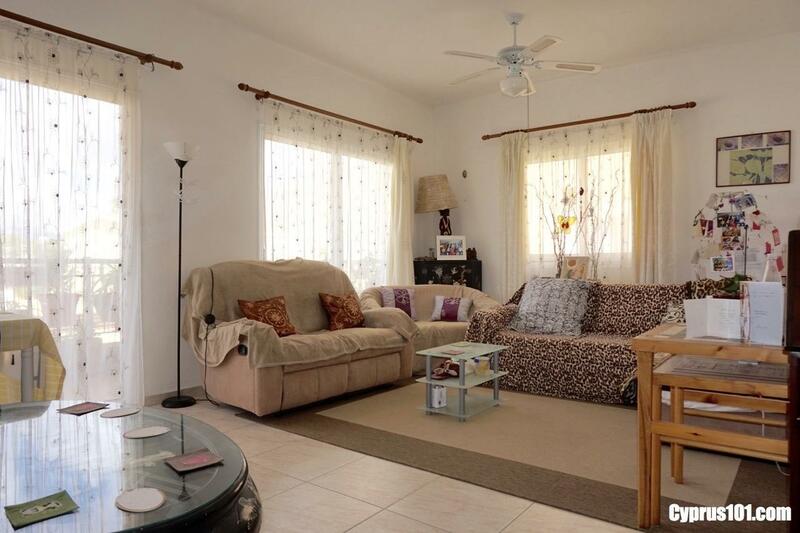 We indicated an interest, flew in from the UK and within a few days had bought the place. Diane indicated that the closing process would take about 4-6 weeks and in fact it took less than 4 from viewing to moving in. Diane advised on various aspects of the purchase and gave impartial advice which we really appreciate. We plan to stay in the house for a long while but would certainly consider Diane if were ever going to sell. 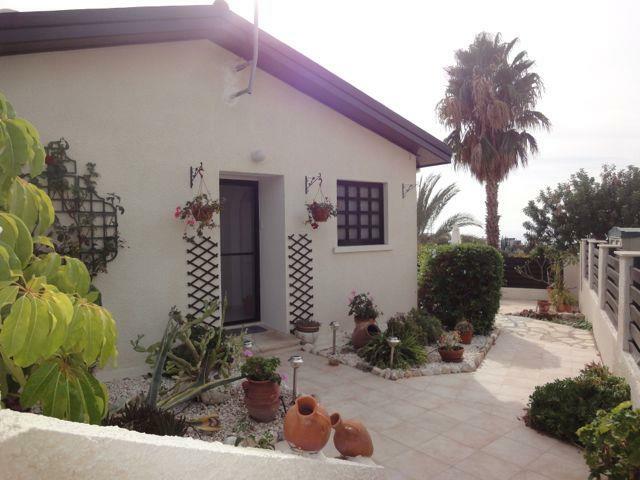 I would like to thank Diane Murphy for her help in finding and purchasing our holiday home in Paphos. Our family has recently bought an apartment in Paphos and Diane guided us through the process at each and every step. We appreciate her professionalism and dedication to customers. During our 2 day visit to Cyprus in the spring of 2013 Diane personally showed us a number of available properties in the Paphos area. She also arranged a tour of homes near Larnaka with another real estate agent. After just a couple of days we clearly had an idea of what type of the apartment we would like to purchase. And three months later we have returned to Cyprus already as homeowners! Diane was always available to communicate with us via emails and made all the necessary arrangements for a quick and smooth purchase. She provided us with many useful contacts – lawyers and property management companies, as well as answered many of our questions about life on the island. Working with Diane was a great experience. I would without hesitation recommend her to anyone looking for a home in Cyprus. Our search for a permanent home in Cyprus was facilitated by Diane Murphy. After travelling and living in many countries including the UK, China, Singapore and Malaysia we have dealt with numerous Estate Agents for both rentals and purchases. Both my wife and I agree without a doubt that Diane is in a class of her own. Full of integrity, honesty and always willing to go full out to help both seller and purchaser fulfil their needs. She listened carefully (a unique skill in itself !!!) and made suggestions where needed and then selected initially 4 houses for us to view first. Quite honestly so well had she listened that we would not have hesitated to buy 3 of the 4 had we only seen them individually. Our purchase had complications primarily because we were buying from Malaysia and the seller was in the UK (distance, currency, communication with both Lawyers). On completion of the purchase Diane even linked us with local services and has remained in touch to see how we are settling in. We believe the fact she is also married to a Cypriot and has ingrained herself into the culture and workings of Cyprus is also something which helps her achieve her client’s goals seemingly almost effortlessly. Naturally we would not hesitate to recommend Diane to a seller or purchaser and will restate our experience has been second to none! We would just like to express our appreciation to you for your help in finding us the property that we were looking for. From the first e mail contact right through to arranging for the keys for us when we arrived late at night has been done with professionalism. Even after we've been here a month your still there for us with helpful advice which we're so grateful for. It's reassuring to know there's a "friend" you can call. We can truly say we would recommend you to anyone who wanted to buy a house here. She genuinely listened & understood the type of property I was interested in. At no time, did she try to convince me to look at properties that did not correspond to the list I had given her. Therefore, Diane did not waste my time needlessly. She never tired of answering my questions, regardless of whether they were strictly speaking her responsibility or not. She helped me at each stage of the purchasing stage. The result was, that after having seen only 4 properties, I was able to make the decision with confidence of buying one of them. I have no regrets, it is precisely the property I was looking for and more; my choice far exceeded my expectations. Given that I am a widow, having trust in Diane made this process less stressful for me. After a number of holidays in Cyprus, stepping of the plane in the sunshine seemed like we were returning home. Each time thoughts of owning our home in Cyprus came to mind, sometime reality had to prevail. We had heard various stories about bad construction, people losing deposits, and so much pressure from agents, wrong decisions were being made. Lots of work on the internet and we found many property agents with hundreds of properties! After a lot of conversations we found 50 properties with 4 agents, this 50 was eventually shortlisted to 20. We arranged our next trip ,and arranged to view our chosen properties. Confidence is all important, two of those agents we were not happy with and although we were interested in their properties would not buy from them. Cleo is everywhere, so it was nice to meet Diane. Arriving in a clean car ,a Diane smile and nice handshake, and details of the properties we wished to view, plus one. 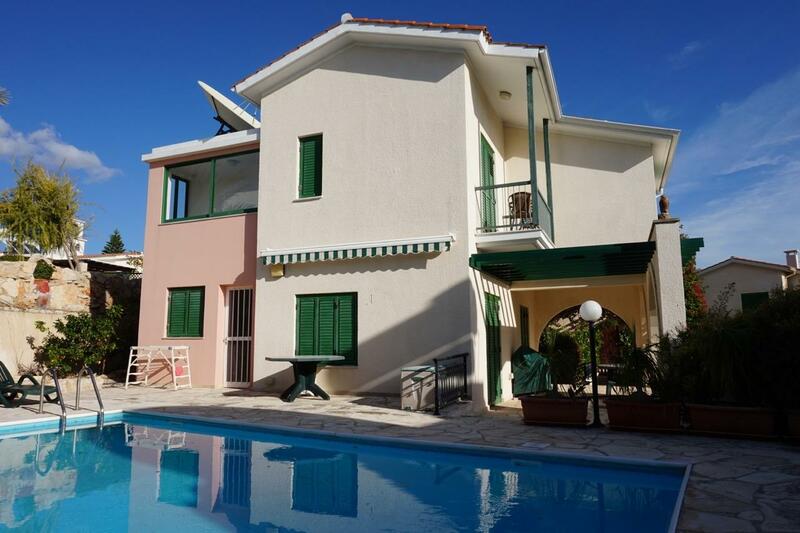 (An excellent villa at a bargain price, but not for us) We had an enjoyable few hours viewing, received lots of info, not just about houses but everything Cyprus! There was no pressure ,we took our time and enjoyed the expereince. A few days later and a lot of thought,we requested a second viewing, within the hour we were on our way, again lots of info. Decision made, Diane recommended a couple of lawyers , she made the initial appointment with our choice of lawyer and even came with us. Next, furniture. 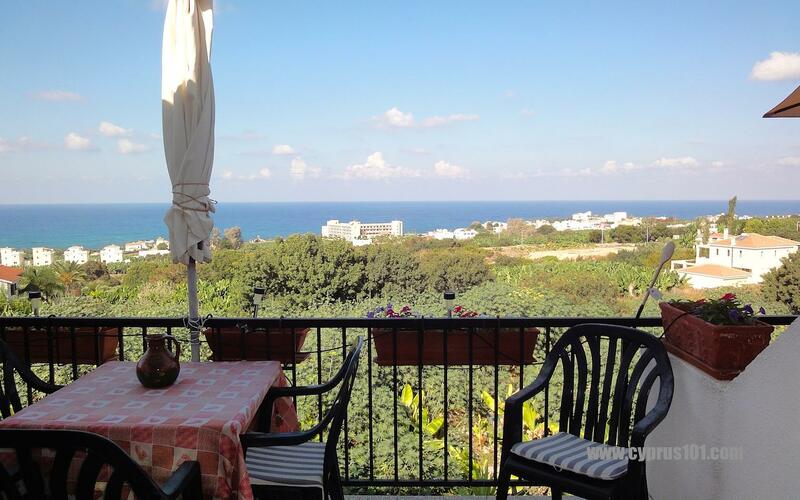 Easy at home, but where do we go in Paphos? Again lots of info about different shops and then she took us to those of interest. Reality. We have our house in the sunshine and enjoying furnishing it, looking forward to our new lifestyle. Confident we made the right decision with the right agent. I would like to thank you for everything you did for me to buy a house in Tala (Paphos) and please accept these few words as a testimonial. When I start searching on the web, I found that Cleo is everywhere, so I tried to find how could he help me to find the best house in the best price, so he forward me to his colleague Diane Murphy who started to show me different kind of houses with different prices, and asked me always about my opinion. For her, she wanted to know what I needed, and she never pushed me to buy any of the properties she showed me. This is the professionalism and the morality. Now, Diane became a very special friend in Cyprus which I trust in everything including money. She is really very special. We made initial contact with Kleo of Property of Cyprus in July 2012. He was very helpful and put in touch with his business partner, Diane Murphy. From the first long distance telephone contact with Diane she has been nothing less than 110% helpful and efficient. Every query, no matter how small or trivial has been dealt with using the same level of integrity as the larger problems. Nothing has been too much trouble for Diane and we will be eternally grateful. The property we were looking at became ours in November 2012, a rapid turnaround thanks to the unflagging efforts of Diane to speed up Lawyers both in Cyprus and the UK! She became more of a friend during the purchase period and this attitude really helped to smooth out all wrinkles in the purchase process. It would be our pleasure to buy her lunch anytime she is our area! We heartily recommend Property of Cyprus in general, and Diane Murphy in particular if you want a dedicated and friendly property service in Cyprus. Following our initial email enquiry to Property of Cyprus, Diane provided an extremely friendly, positive and prompt response to our telephone calls, emails and texts. 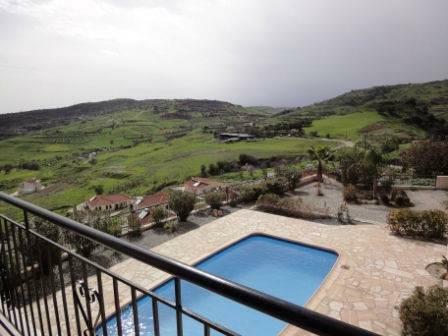 We had rented holiday properties in Peyia for a number of years and were now in a position to buy. We decided to visit for a weekend and gave Diane 48 hours notice of our arrival and she arranged a selection of properties to view on the Saturday afternnoon!! Our next visit was better organised, we contacted Diane with a request to view 2/3 properties we were extremely interested in. We met on our first morning in Peyia and viewed our selection plus "one other". Throughout our 2 week visit we were constantly in contact with Diane arranging further viewings. At no time did we feel the normal Agency sales pressure. On our return to the UK we decided we had to make an offer for the "one other". With Diane negotiating on our behalf we now own a fantastic property which we are really looking forward to initially using as an holiday retreat and then a more permanent home in about 18 months. We still pester Diane for help in arranging local "things" and hope she doesn't mind us continuing to do so. Whilst holidaying in Paphos in 2010 and considering purchasing property and moving to the island we were fortunate enough to meet Diane Murphy. Diane is a partner in the Cyprus 101 Property of Cyprus company. We had made an initial contact by e-mail and met in person in the Alexander the Great Hotel. As ours was a complicated situation we embarked on a journey that was full of ups and downs but Diane was always there to help us through. This help was immeasurable and embraced arranging a Cyprus solicitor, setting up bank accounts, arranging for an interim property whilst contracts were exchanged, a hire car at the best rate and even” a man with a van”. This last item was to assist us in the transportation of 2 adults, 5 suitcases, a large dog and a cat who were both housed in separate containers. We continued from 2010 to communicate freely by e-mail and telephone and Diane was able to keep us updated with property prices, exchange rates, villa movement as well as the hidden information like Cyprus vets, medical cover and the hundreds of other potential problems that are encountered along the way. In all of this time Diane offered a first class service, being totally fair to both vendor and purchaser, in a friendly but still professional way. Diane offers a service that is far and above what we would have expected from an Estate Agent. In thanking her for her skills and help we have no hesitation in recommending her to anyone involved in property transfer in the Paphos region. We are sure that without her involvement we would not have had such a smooth transaction and may not be now settled in our house in Peyia. We would like to thank you for the professional and courteous service we received during our search for a property in Paphos. You were both knowledgeable and efficient in the service you provided and a pleasure to do business with. We are delighted with our new home and grateful for the assistance you provided. Vian and I like to express our unreserved appreciation and thank you for your help during the recent purchase of our new home in Cyprus. As we have repeatedly said to you, this was provided in the most pleasant, sincere and professional manner. The very first telephone conversation we had summed the experience up. We rang you late one evening, and because you'd had a long day and weren’t able to fully engage with us, you said you would ring us the next day. We were very impressed with the honesty of the sentiment and felt then, and you proved us correct, that you will want to provide a genuinely attentive service that ultimately proved very constructive for us. We did not feel at any point that you were trying to sell us what stock you have, but always explored ways to help us find what we liked and we did! None this would have happened without an attractive website. We found yours to be very informative and above all accurate. 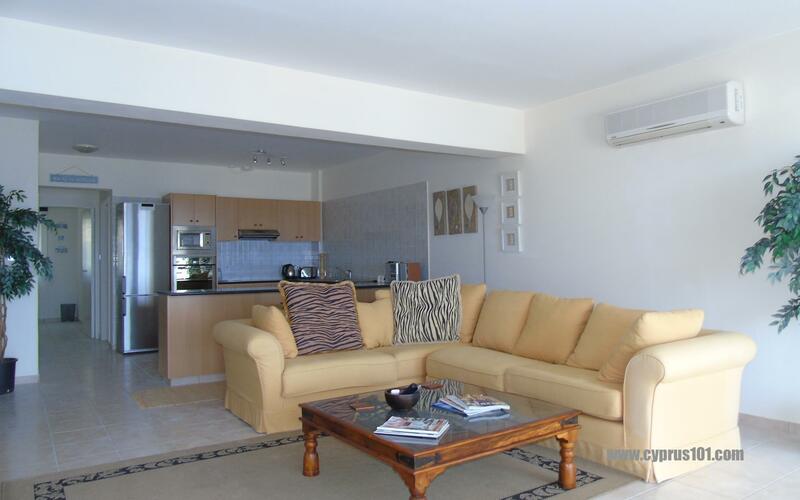 The photographs were of a high quality and gave a very good overview of the properties we visited. Thank you for emailing them later to us as they now form part of our photo library for this "Event"! The examples are too numerous to cite but we are both very confident that your intention will always be to provide this level of service to your future clients and we have no hesitation in recommending you very highly indeed. We look forward to seeing you in a few weeks and we truly hope that we will remain in touch for years to come. Thank you for the help you gave us with the purchase of our bungalow in Cyprus. As we were looking for property at the same time as trying to have a holiday we really appreciated you listening to our needs and only taking us to properties we would be interested in, there were agents that wanted to spend a whole day taking us to totally unsuitable properties. The buying process went through smoothly and quickly with your help. John, Vickie and I would like to thank you for all your help in finding us a permanent home in Cyprus. You understood our need for a “HOME” and showed us a selection of properties with this in mind. You negotiated with our sellers in a thoughtful and constructive way and were prompt in your responses to us. You were supportive in terms of explaining all the nitty gritty around buying a property in Cyprus and you have an amazing knowledge from which we drew. We would definitely recommend your company if the opportunity arises. About 3 months ago we started searching the internet for a real estate agent who could assist us in finding and acquiring a property on Cyprus. We found you on the internet through your website Cyprus101.com and were immediately impressed by the quality of data provided and completeness of info available on each property listed. Especially when comparing to the many websites out there focusing on selling properties in Cyprus. Your website furthermore provided an in depth view of the purchasing process and what we could expect once we came over to Cyprus on a house hunting trip. As your website states: “Searching properties for sale in Cyprus cannot be easier!” in short, our exact experience! We were very pleased with the info you provided and all the answers we received to the many questions we had before coming to Cyprus. Something that pleased us additionally was that both Diane and you listened to our basic requirements and proposed us a list of potential properties that would suit our need. Which shows as, in the end we purchased a property that was initially proposed by you and added to our viewing list by Diane. Working with Diane the past few days to view potential properties has been a pleasant and worthwhile experience. On behalf of our entire family I would like to express our sincerest thanks for all your assistance in finding and helping to acquire, what we are sure will be, a retreat of peace and tranquility where many an enjoyable vacation will be spent in the near future. On behalf of all the family involved, I am writing to thank you very much for all your assistance in finding, what we hope will be, a retreat where many an enjoyable holiday will be spent and who knows, maybe one day, for longer periods at a time. We were in contact with many agents during our extensive search, most of whom were kind, courteous and very helpful. The additional feature for us with your assistance in the search, was that you listened to the basic requirements given and showed us potential properties that we were able to short-list. We had many a wasted trip with others, to properties that were not only unsuitable, but that did not fit the given basic criteria. We were very pleased therefore that the property purchased was introduced through yourself. We have also been very grateful for your after-sales service, assisting with a smooth changeover. Praise indeed from a critical ex UK estate agent!! I just want to thank you for helping us find our dream home in Cyprus. As you know, we had almost given up but your patience and understanding of what we were looking for has made our dream a reality which has been a long time coming! Thank you again and we will be referring anyone and everyone we know to you that are buying or selling property. Yes we finally got our house. We must thank your team for all the work they put in on this purchase, a big thank you must go to Diane who kept us updated as to what was happening and what were the next steps we had to take to get our home, she is a Diamond. Thank you again Cleo. We are about to fly over to Cyprus to use our holiday apartment for the first time and couldn't be happier. We just wanted to thank you both for your time and efforts to get us a great deal and keep us up-to-date with what needed to be done and the progress. We'll ring you when we get there - we'd love to see you both and your families. Thanks again! Thank you for helping me to find the desired house. I wish you further success. In a few words you have: experience, professionalism, honesty and exceptional communication and I thank you again. Just a few lines to thank you for your friendly and professional help when we purchased our villa through your company. My self and Daniel had a nice wee holiday when we came over to view the house. We were delighted with the service you provided out with your normal duties i.e. negotiating the excellent deal for the furniture and coming to open the bank accounts with us when we had previously struggled to do so as we did not have a utillity bill. Finally I would like to say thanks for recomending Paul (Efthymiou) the lawyer who you explained was your business partners father-in-law and that I under no obligation to use him. Not only was he very reasonably priced for his services he was also very efficient as the sale was completed in under a month. All in all you made it a very enjoyable and easy experience. To see our Seller Testimonials please Click Here.